More than 10,000 sugarcane–farm households in the central province of Phu Yen are earning higher profits thanks to the use of bagasse from a sugar factory to produce electricity. The factory owned by KCP Vietnam Industries Limited (KCP VIL) has bought sugarcane from farmers in the province at a price 100,000 VND (4.3 USD) per tonne higher than the market rate. A power plant uses bagasse from a sugar factory to produce electricity in Phu Yen Province. Many sugarcane farmers in the country have turned to grow cassava because of the low price of sugarcane. Gia Lai and Phu Yen provinces are among the localities with the largest areas of sugarcane in the country, with more than 60,000ha. In mid-March, the market price of raw sugarcane was 720,000 VND to 760,000 VND (31-33 USD) per tonne. However, sugarcane farmers in Phu Hoa, Son Hoa and Dong Xuan districts in Phu Yen province are selling their product for 820,000-860,000 VND (35.3-37 USD) per tonne. Ro Cham Y Nem, a sugarcane farmer in Son Hoa district, said that he had sold 40ha of sugarcane to KCP VIL for 840,000 VND (36.2 USD) per tonne. The company is also offering 3.5 million VND (150 USD) each to farming households that do not currently grow sugarcane if they switch to the crop. K.V.S.R. Subbaiah, general director of KCP VIL, told Tuoi Tre newspaper that his company produces both sugar and biomass electricity. Built in 2016 with a total investment of 23 million USD, the 30MW biomass power plant needs about 300,000 tonnes of bagasse a crop (around four months worth). In 2017, it supplied more than 49 million Kwh of electricity and reached 108 million Kwh of electricity last year, generating power for the national power grid. 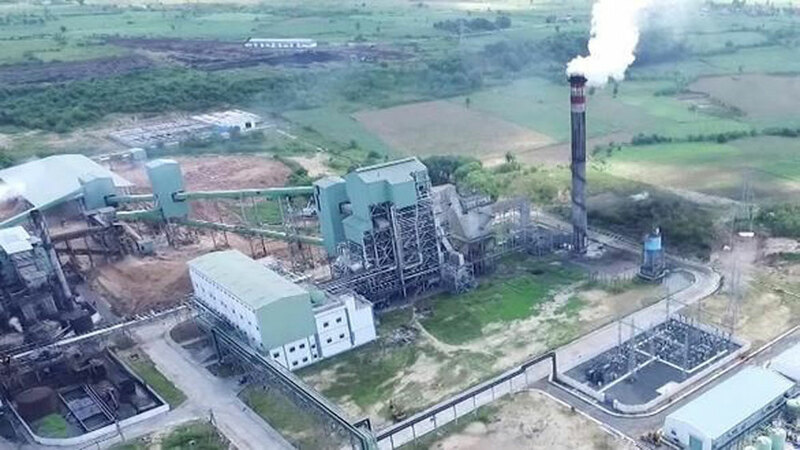 The renewable energy supply from the KCP VIL biomass power plant contributes to 10 per cent of the province’s energy use, according to Thai Minh Chau, director of the provincial power company. The sugar factory has been using bagasse for three years, the deputy chairman of provincial People’s Committee, Tran Huu The, said. The model is expected to help develop the country’s sugarcane industry and compete with rivals such as Thailand, he added. The province plans to organise a workshop to propose increasing the price of power that uses bagasse to encourage sugar companies to invest in biomass power plants. Production of power using biomass is not new to Vietnam, but the price is low, so investors are not interested, Subbaiah said. In Thailand, biomass electricity produced from bagasse at sugar mills sells for around 13 US cents per kWh, while the EVN buys it at 1,220 VND (5.8 US cents) per kWh from KCP VIL, he said. Vietnam’s energy demand and biomass electricity prices are expected to increase, so the company plans to build one more biomass power plant with a designed capacity of 30MW. However, the construction of a new biomass power plant will depend on preferential policies. Electricity prices in Vietnam have surged nine times in the 2009-2018 period. Vietnam saved 485,000 kWh of electricity, equivalent to 834 million VND (36,612 USD), during the Earth Hour from 8:30pm-9:30pmof March 24, according to the National Load Dispatch Centre. (BGO) – Nguyen Van Linh, Chairman of the Bac Giang provincial People’s Committee on October 3 had a working session with the official delegations from Electricity of Vietnam (EVN) led by General Director Dang Hoang An and Vietnam National Coal and Mineral Industries Group (Vinacomin) led by General Director Dang Thanh Hai.